From this point forward, I'm dubbing this day, FREE FICTION FRIDAY. It will be my goal to have a new short story for you, dear readers, each and every week on this day. 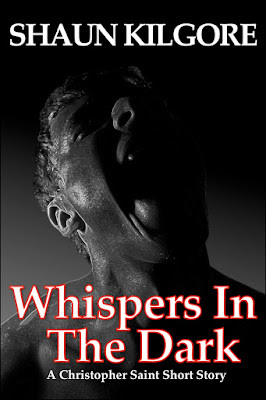 Today's story is called Whispers In The Dark. I hope you enjoy it. There, above in the darkness, a gentle rain began to fall. The sound of its soft pattering on the grass would usually be soothing and restful, but not now. A terrible fear reigned and threatened to overwhelm two people. Both were soaked in a cold sweat. Their muscles were tense. The intensity of this fear was so paralyzing that they remained hidden in their basement for nearly two days. With the strain of ceaseless waiting and a complete lack of food, both of them were left weakened, desperate to remain conscious. The lingering sense of a malevolent presence could almost be felt but as far as Christopher could tell it—they—had gone. In the house above all else was silent except for the rain. The basement felt like a dank tomb. The air was stagnant from the moisture that wept from the cinder block walls. Christopher and Jen lay huddled together in one corner on an old mattress, whispering to each other in raspy voices. "Chris, I'm so scared. I don't want to die. I...I...ah," tears leak from her face and her body shakes with each sob. "Hush. Don't talk like that. We're not going die, baby. No way are we dying here and now." Christopher brushed a hand through Jen's hair. She pressed her face against his chest. His hand trembled. 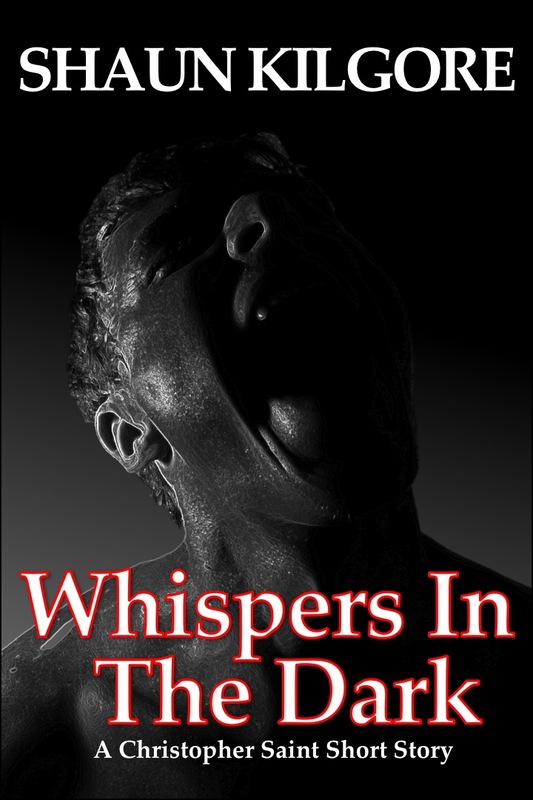 He held back the pulses of pain that threatened to black him out. The attack he suffered had left him further weakened than he would be otherwise. He knew he couldn't let anything happen to her. So his struggle was greater to hold onto awareness. It was tempting to leave the basement. The best shot they had was to wait until morning when the shadowy things held less power. Chris thought perhaps it was probably toying with them. The purpose of the daguar was to be mischievous and potentially deadly. He had witnessed their havoc many times over the years. The daguar had struck him when he least expected it. Two days ago, he had been downstairs in early evening finishing up a series of paintings that he would put on exhibit the following week. Just as he was putting the final touches on a particular canvas, suddenly, a tingling feeling seized his hands. Then, the lights started to dim, reaching near total darkness and continued to flicker with increasing speed. Two of the four fluorescent bulbs mounted upon the ceiling, exploded, sending shards of glass everywhere. He shielded his eyes from the blow. The tingling of his hands had ceased and there was pain. Turning them over Christopher saw that a few of the shards had been embedded. Blood started to run from the wounds, down his arms, intermingling with the paint. A high-pitched whining cut in. Christopher turned all around him in disbelief. Vague human-like shapes made entirely of shadow had formed a circle around him. The whine he was hearing was coming from them. The creatures radiated pure hatred and Christopher was paled by an icy fear that froze him there. As one wave, they sprang upon him. His screams and he was wrapped in pain. Jen had heard the sickening screams all the way up on the second floor of the house above. She rushed down into the basement. There she had found him tangled in a wet and broken canvas; wet paints spilled all over the bare concrete floor. His body bruised, bloodied and cut by the shadowy beasts. For several agonizing seconds, Jen had checked him to make sure that he was alive. "Christopher, please be alright. Say something!" He stirred when she called his name. The tears flowed freely from her eyes. Struggling to answer, Christopher was interrupted when the daguars emerged from where they hid and struck again. The creatures battered at the other canvases, upended jars and sent cans of paint flying across the room. Jen screamed and dove to the floor, covering her head with her arms as she was struck repeatedly. Christopher overcame his pain and lunged over to Jen and huddled over. The keening of the daguars echoed through the basement. "Stop it!" Christopher screamed. Within the depths of his soul, a flame was kindled and surged towards the surface. His entire body became aglow with a brilliant fiery light and the daguar shrieked. He could see them rush into the shadows and then he heard them above in the house. There they had remained after the demonic attack. Christopher looked up and strained his ears to hear anything. There was nothing, not a sound at all. "I think they're gone," said Christopher. Jen shuddered in his arms. "Let's just wait a little longer to be on the safe side. Just a little bit longer." "Okay, Jen. We will wait." It was about 4:30 in the morning when Christopher decided to leave the basement. Jen followed closely behind him as they climbed the stairs. The two of them emerged in the kitchen. "I want to take care of those cuts," said Jen. "The first-aid kit is just in the bathroom. Looking out the windows, the faintest glimmers of sunrise were starting to appear. Christopher joined Jen in the bathroom and she busied with dressing his wounds. The two of them cleaned up and waited for full daylight to come. Cautiously, Jen opened the front door. She stepped out into the sun-speckled day. For a moment, she was blinded, but somehow relieved. The sight of sunlight was invigorating. It was very early so only a few of the residents of the neighborhood were up and about. The soft warbling of the birds set her mind at ease. Turning around Jen believed the house was truly empty. Walking down the hallway, she entered the kitchen. Everything was as it was two days ago. Her jacket hanging on the back of a chair. The dirty dishes in the sink. The silence was halted by the sound of her stomach growling. The realization of how long it's been since she ate last, occurred to her. "I'm so hungry." Her voice was hoarse and dry. "So am I," said Christopher. He had followed her back from the front of the house. Walking over to the sink, Jen took a glass and poured some water out. She emptied the glass in one long gulp and went straight for the refrigerator. Opening the door, she began to grab the ingredients for a major sandwich. Turkey, ham, Swiss cheese, and lettuce all came out into her hands. Standing up, while trying to hold the huge pile in her arms, proved to be a rather precarious juggling act. It was while Jen was fumbling with the lettuce, that the door creaked open. Beside her, Christopher went tense. "It's just that damned cabinet door. It popped open again." They both shared a laugh and some of the tension melted away. "I'm going to wash up in the bathroom, okay." "Oh, alright," said Jen, a slight smile grazing her face. Jen started making up sandwiches, a turkey and Swiss or rye for her and a ham and turkey on white for him. "See, Jen, you knew he was going to be alright," she said to herself. As she was putting the finishing touches on the sandwiches, the sound of water running issued from bathroom. Depositing Christopher's sandwich on the counter Jen ventured into the living room and sank down onto the couch. She was still on edge and just sat there looking about the room, gazing more intently on the shadows in the corners than she would have ordinarily. Weariness washed over her. The fact that she had not slept for nearly two days was probably a good reason. Jen sighed and let her head lean back on the cushioned. She would just rest a bit and wait for Christopher to finish. God knew she needed a shower too. She was asleep before she realized it. In the next instant, Jen found herself standing in the midst of a sunlit forest. An eerie hush rested over everything. No birds singing, nothing but her and the sound of running water. Rays of sunlight gleamed off the surface of a pool of water she only now noticed. It seemed that the water was being fed by a spring. A small fountain was bubbling up from between two rocks churning the waters only increasing the sparkling upon its surface. She felt totally at peace here and didn't know why. Still standing in the same place, Jen began to feel as though she was not alone but could not see any one. Or hear anyone. Shrugging off the feeling, she started to walk closer to the water's edge. When she was close enough, the strangest thing happened. The fountain stopped flowing and the waters cleared. Kneeling down on the ground before the pool, Jen looked down at her reflection. For the first time, she realized that she was wearing plain white dress. An odd feeling overcame Jen just then. She fixed her attention upon the placid surface below her. As she stared on in fixed amazement the depths of the pool began to shimmer in a blue light. An intense elation wrapped around her. She felt giddy and filled with almost a child-like state she was in. Reaching forth with a hand, Jen touched the water. The effect was like static electricity. A ripple appeared in the water, spreading out across the entire surface. The shimmering blue light suddenly flicked to life from the depths. The glare momentarily blinded Jen causing her to fall backwards upon the grassy earth below her. A kind of roar filled her ears. The peace that she had felt earlier was shattered. She felt herself being pulled up from the ground to rise into the air. As her eyes finally cleared up, Jen found herself in a different place. "It's so beautiful. So beautiful," she gasped. What lay before her was an unbelievable sight. Gone were the pool and the forest. Rich bluish light flowed like water here. Waves of blues, purples, pinks, and reds cascaded throughout what she only assumed was a sky. This created an effect similar to the northern lights. Lightning streaked almost continuously around her. She found that she was still floating in the air. Looking down below, she saw rippling sheets of dark gray. For only a moment, Jen looked, but down she fell. The fall was somehow slowed down. So, she essentially drifted to the sheets. Once upon them, they seemed to harden. Jen slid to the edge of the sheet and looked over. She could actually see beneath it. With a slight shake of her head and a gulp, she moved back to the center of the sheet. The sights around her continued to play out in a rhythmic fashion. The rhythm itself was becoming hypnotic. Jen could feel her eyes getting heavier and heavier with each passing minute. She stifled a yawn and rubbed her eyes. A breeze of cool air came from out of nowhere, further, sedating her. Once more, she succumbed to a different sleep. The sheet was moving--and moving very rapidly. Jen awoke and watched as the fantastic landscape she had entered was reduced to a blur. Around her, soft whispers occasionally broke the silent journey she was taking. Strangely, Jen was no longer afraid. The peace had returned. She just knew, somehow, that she was in absolutely no danger here. "It's not a dream is it?" she asked. A voice whispered as though it was right in her ear. It seemed to answer her. "Did it just say no?" She scanned all around her for any signs of a presence. The sheet now began to slow down. As the environment came back into view, feel a cold chill run through her body. The whispers she had heard before all proceeded to speak at once. There were so many that the sheer number of voices drowned any meaning out. A sudden flash of light caught Jen's eye. Turning into the direction from which it came, she was brought face to face with a woman-like form made of a blue light. The ethereal figure was walking directly to Jen. She spoke, her voice barely audible as a whisper. "You are the cause of the effects."